Fans of the So album will especially want to pick this up. Gabriel reunited that band to celebrate the 25th Anniversary of the album and among the other highlights of the concert is the album in its entirety. You really can’t go wrong with a Peter Gabriel concert, though. There are some great musical moments here. The video and audio really are top-notch because they used state of the art technology to film the show. I’m a big fan of Tony Levin and it’s great to hear him back with Gabriel again. In addition to the full show, we get some nice bonus features. 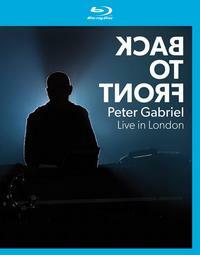 I’d highly recommend this to Peter Gabriel fans. There are a lot of Gabriel live videos out there, but this is one of the best.